Halal-certified food products must meet strict guidelines. PacMoore offers a broad range of specialized food services, including halal food processing. From use of specific ingredients to how the food products are physically handled, PacMoore takes extreme care to ensure that its halal food production techniques are in accordance with established criteria. Below, learn more about the guidelines and process behind certified halal food production, as well as the specialty food services PacMoore offers. Like kosher food products, halal products have a long history that is deeply rooted in religious tradition. The guidelines cover a broad scope of food sources that may and may not be used — and that includes more broadly understood restrictions, as well as more nuanced ones that only an experienced halal food manufacturer might understand. In addition to how the product is manufactured and handled, halal certification requires that specific labeling guidelines be followed. At PacMoore, our team of specialty food experts has a deep understanding of the significance of meeting strict standards. Our customers know that the products we provide are both certifiable and of the highest quality. Halal food production is about more than simply avoiding certain food sources during production. The authorities that certify and recognize halal food products require adherence to a wide range of other guidelines. Not only preparation, processing and packaging, but also transportation and storage must meet strict standards based on food hygiene, safety and culture. 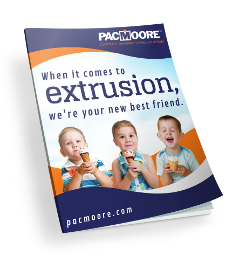 PacMoore has built its reputation on exceeding customer expectations, and that includes adhering to halal food preparation guidelines. For halal food and every other specialty food product we manufacture, you can rest assured that we cover every detail imaginable. PacMoore offers a wide range of services for both mainstream and specialty food products. For any number of reasons — dietary constraints, personal preference or cultural restrictions — our methodology for processing and handling food is perfect for such specialty products as halal food. Our comprehensive process covers ingredient storage, product manufacturing, testing, quality control packaging, warehousing, and shipping. From start to finish, we’ve got you covered. Whatever your food manufacturing and packaging needs, PacMoore is always your best bet. We have extensive knowledge and experience in food production. We work closely with our customers to understand their specific food production requirements and provide the solutions that they need. To learn more about the halal process and what PacMoore can do to meet your needs, contact us today.